According to new presidential hopeful Ben Carson, Obamacare is the worst thing that has happened to this country since slavery. Yes, he actually said that. That assessment by Carson should clear up any questions of whether the retired brain surgeon — who announced his run in the Republican presidential primary on Monday in his hometown of Detroit — supports the Affordable Care Act. Expect to hear a lot from Carson on the topic on the campaign trail, and if he somehow manages to make it to the Oval Office, expect to wave goodbye to Obamacare. Obamacare is really I think the worst thing that has happened in this nation since slavery. About a year later, in an interview with CNN’s Wolf Blitzer, Carson finally conceded that Obamacare and slavery weren’t really the same thing, but he still held to his original point that he said he was trying to make. He clarified that while Obamacare and slavery were not the same thing, and that the Affordable Care Act could not necessarily be described as worse than slavery, he still insisted that the new healthcare system puts health into the hands of the government and takes it out of the hands of the individual. The government is supposed to conform to our will. By taking the most important thing you have — your health, and your healthcare — and turning that over to the government, you fundamentally shift the power, a huge chunk of it, from the people to the government. And if you’re starting to wonder whether Carson may have overlooked some big moments in history — like 9/11, Vietnam, Pearl Harbor, or the Great Depression, just to name a few — when he said that Obamacare was the worst thing to happen to this country since slavery, don’t worry. Carson has compared to Obamacare to more than just slavery. In an interview with The Daily Beast last summer, Carson seemed to insinuate that Obamacare is worse than 9/11. 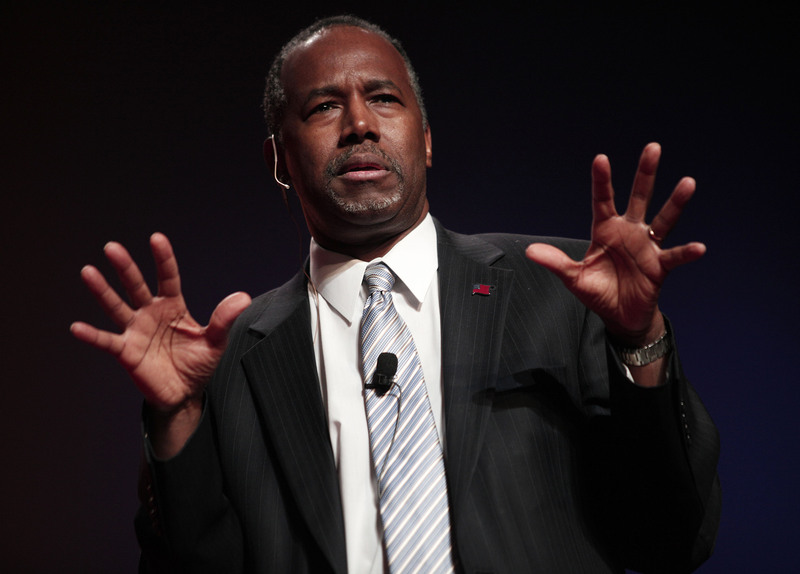 According to Carson, 9/11 has not caused as much harm to the country as Obamacare has. Why? Because 9/11 is an isolated incident. Carson should probably rethink his strategy for talking about Obamacare now that he has officially entered the 2016 race. Because while Republicans might be all for eradicating Obamacare, even conservatives likely won’t be onboard with Carson’s diminishment of 9/11 just to prove a point about a partisan healthcare reform.